Ever since my last road trip in 2010, I have been eager to return to Italy and see more of this beautiful country. When my best friend suggested that we go on a road trip together, I instantly thought of Italy. I have visited the lakes in the north a few times and I went on a week-long secondary school trip to Florence. This time though, I would really like to see some different parts of the country. That said, Florence is still part of our itinerary, because I have really missed Tucany’s capital city. Although we’ve chosen not to book anything in advance, this trip is not completely unplanned. During the past few months we’ve discussed the places we’d like to visit and we have come up with a rough itinerary. I’ve done a fair bit of research in an attempt to make sure we don’t miss any must-see sights when we’re there. Over the course of nearly three weeks, we hope to visit Cinque Terre, Florence, Rome, Naples, San Marino and Lake Garda. We are going to spend quite a few hours on the road, as we won’t be staying in one place for very long. 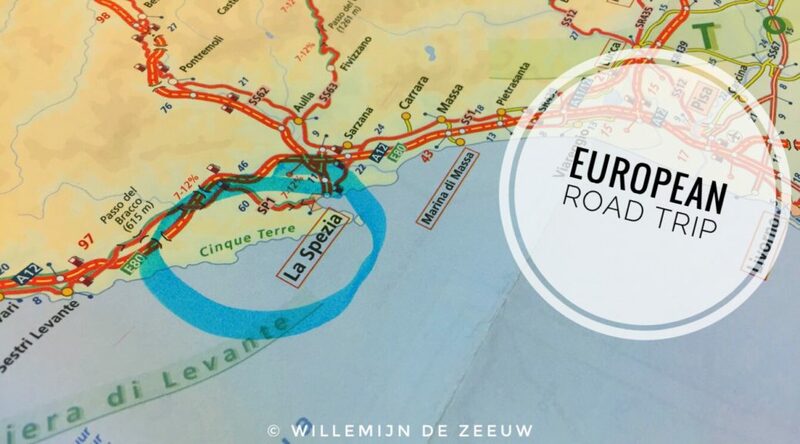 The first and last day will especially be a challenge, since I am hoping to drive all the way from The Netherlands to Cinque Terre in one day, which is roughly 1200 kilometres. The whole trip will add up to at least 4000 kilometres. Even though I will be doing all of the driving – my friend doesn’t have his driving license yet – I am not expecting to get sick of driving. I love to drive and I have had to do quite a lot to get my car ready for this trip. In order to avoid blowing our budget, we’ve chosen to go camping. However, the costs aren’t the sole reason for this choice. I really enjoy camping, because it makes me feel free to do whatever I want. If I am disappointed by a place I’m visiting, or even just by the weather, nothing stops me from packing up my things in the morning, and heading to some place nicer. Italy is a large country and it’s impossible to see all of it in three weeks, but at least a camping road trip will allow us to visit both large cities as well as small towns, so we’ll see the different sides of Italy. I look forward to this trip very much and I hope to be able to post updates on our adventure whilst we’re on the road. Stay tuned!